Please contact us to learn more about our Partner Program. If you prefer to meet in person at the office of our associated immigration practices please indicate your travel dates so that we may coordinate a private meeting at your convenience. Our associated attorneys - a team of professionals specializing in immigration by investment programs around the globe - maintain offices in major cities in Europe, Asia, Canada, the USA, and the Caribbean. Please use the contact form above to inquire about an in-person meeting with an associated attorney at any of the following office locations. 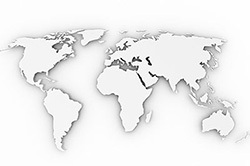 In your note please indicate the specific country and city that is most convenient for you.